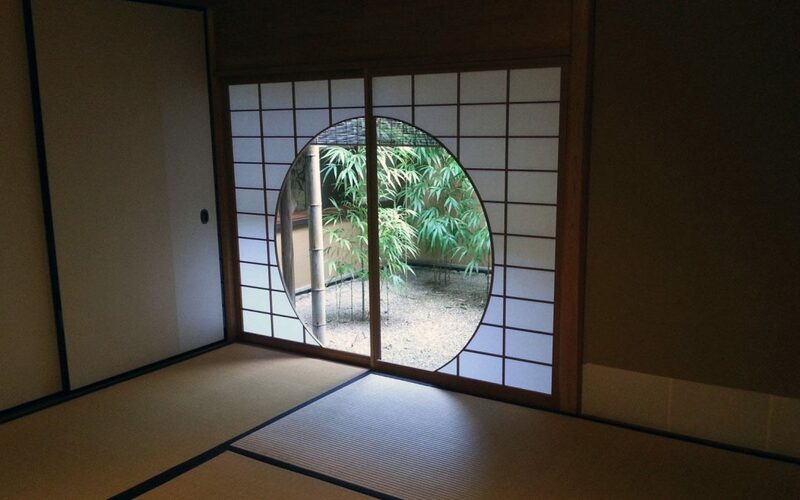 Daryl Jamieson is a Canadian-born composer who now lives in Kamakura, a city southwest of Tokyo, Japan. In January of this year, Daryl’s work Is nowhere free of bad tidings? was the recipient of the third annual Toshi Ichiyanagi Contemporary Prize, awarded by the eponymous composer himself to works that enrich the field of new art music and advance the cause of a more creative and musical society. Daryl studied music in Canada, the UK, and Japan, and in 2013 founded the intercultural musical theatre company atelier jaku, of which he is artistic director. Daryl’s work is heavily influenced by Noh theatre, the classical form of Japanese theatre famous for its masked performers, stylised gestures and stories based on traditional literature. Daryl also co-founded the instrumental trio mmm…, which seeks to bring music from young composers around the world to Japanese audiences. The work makes extensive use of multiple flows and Dorico’s page layout features. 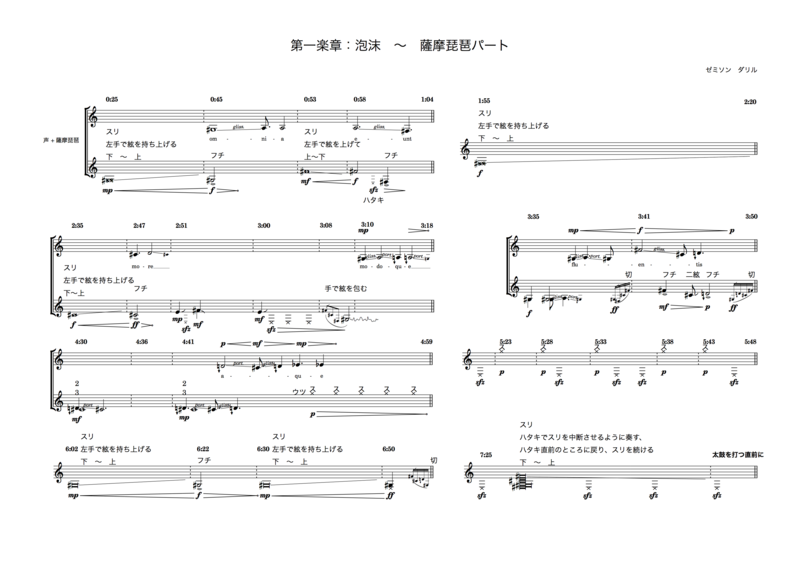 I spoke with Daryl to find out more about the process of notating this complex work for Japanese instruments in Dorico. DS: It looks as if Dorico’s page layout features were helpful in creating the patchwork appearance of the opening sections of the work. Can you say anything about the approach you took to producing this kind of layout? DJ: Dorico’s frames made the creation of this score so much easier than any previous score that I’ve written in this style. I’m the kind of composer who writes everything by hand first, and on my manuscript these patchwork movements (I, III, and V) are simply written all over the page, with no thought to organising them in a readable way (only I have to understand them, of course). When I input them into Dorico, I just inputted them all in galley view as if they were to be played continuously. Finally, I was able to get the spacing just right using dozens of small frames per page in engrave mode. Being able to separate the inputting and layout tasks made everything so much easier for me. DS: The score makes extensive use of unconventional graphical elements like quasi-random wiggly lines, black wedges, and so on. Dorico doesn’t yet have extensive support for these kinds of graphical notations, but it looks like you were able to produce the results you were aiming for. How did you find putting together these elements, given the limitations Dorico has at the moment? DJ: Though Dorico doesn’t do everything yet – especially the graphical elements which are common among contemporary composers and also many of the traditional Japanese instrumental technical symbols – it was pretty easy to work around these limitations. (It’s not as if my previous software was able to handle these things – especially Japanese language support – much better anyway.) Most of what I needed was in the Standard Music Font Layout (SMuFL) database of symbols, so I simply copied and pasted into Dorico using the Bravura font. The wedges were only slightly harder to input, since they were made as a graphic and put into the score with graphic frames (which are very flexible). The only thing I had to be careful of was that the locations of the graphics frames were fixed to their position on the page and not to the position on the staff, so anytime the staff layout changed, the wedges had to be manually adjusted. Usually, they just were added last, which solves that problem neatly. DS: How do you feel more generally about working with Dorico and how it supports the communication of your compositional ideas? DJ: I bought Dorico about two months after it came out, and I haven’t felt the need to return to my previous software since. For everything Dorico doesn’t yet do, there’s a decent workaround, and everything it does do it does as well or better than what I used before. In general, I find the division of labour between the five modes (and especially the separation of Write and Engrave modes) very intuitive and especially helpful. I also find that I don’t have do do much tweaking at all to get a well-spaced and good-looking score in the end, so even when I was first getting used to the different style of note input, I felt that I wasn’t any slower in getting to the finished product. DS: What are you working on next? DJ: My next project for Dorico is a long piece for field recordings and electric guitar (more discrete, precisely-timed units of musical material scattered across the page!) which is going to be premiered in October. It’s already written in manuscript, so it’s just waiting to be engraved. Then I’ll start writing (and hopefully finish soon thereafter) a short piece for solo piano which is going to be premiered in the near future, on 4 May in Toronto. Thanks very much to Daryl for taking the time to talk to me about his work and working in Dorico. Find out more about Daryl at his web site. If you’ve not yet tried Dorico for yourself, you can download a free, fully-functional 30-day trial version from the Steinberg web site.